Following more than a decade of war, a deliberate retrograde, reset, redeployment, redistribution and disposal process began in 2012 to move tens of thousands of pieces of military equipment out of Afghanistan. December 2014 marked the end of combat operations in Afghanistan, and while equipment still remains in theater in support of the troops, the vast majority of shipments retrograde commenced from its postwar destination. In military jargon, the whole action is “the retrograde”. An estimated value of $30 billion in equipment — vehicles, helicopters, shipping containers, generators, communications gear and more — need to be moved from a land-locked, mountainous and extremely austere country while under combat conditions. At the height of the war, U.S. and NATO forces operated from 820 bases. That’s been reduced down to only 25 remaining bases. More than 44,000 vehicles, referred to as “rolling stock,” have been removed from theater. More than 107,000 containers filled with equipment from tents to communications devices to spare parts, have returned. For one, the country is land locked and far from a seaport. The terrain, especially in the strategically important east, is covered with mountains; and the country’s road network is much less advanced than the one in Iraq. We can support combat units “retrograde”—military parlance for disassembling and repatriating–their equipment before they rotate home. Reverse logistics systems are vital to the proper removal and disposal of residue and unserviceable items. Reverse logistics is a doctrinal supply chain term describing how byproducts and other materials are returned through the original supply chain in order to recycle, refurbish, or ensure proper disposal. We are involved for the past several years in support of the massive retrograde, redeployment, redistribution and disposal mission out of Afghanistan for US Military, NATO and ISAF missions. AS Logistics is pleased to offer retrograde service for military sectors who are stationed at Afghanistan for many years, and now planning to go back to their homeland. We are keen to help them in safe and on- time movement of their reverse cargo from any FOB in Afghanistan. Our specialists can analyze your market activities and design reverse logistics channels to help you efficiently military excess goods, industrial salvage and excess inventory back into supply chain.We can design processes to manage your returned or damaged merchandise, restock, recalls and inventory from any Afghan FOB. Our team is well aware of all the requisite formalities for the Retrograde cargo from Afghanistan. We know how to take care of your cargo and process the Export Clearance in Exemption form from Afghanistan Government sectors and border and transit processing at any Border Crossing Point. 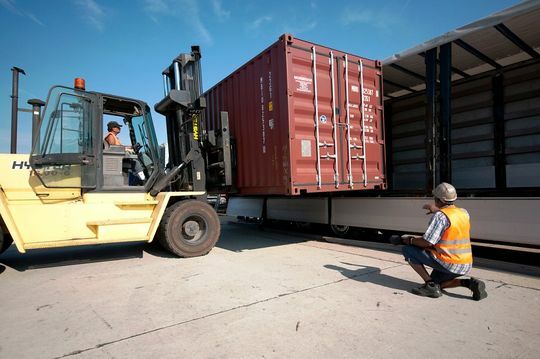 We are well aware the very steps of the procedure at Retrograde Transportation and can provide to our respected customer personalized service for their retrograde needs, including, Loading/Lashing, Packing, BCM (Border Crossing Memo) Clearance, DDD (Disinfection, disinsection and deratization) Clearance & Maafinama Certificate / Customs and Border Clearance at BCP – Border Crossing Point, as well as Ag-wash and maintenance for the Armored Vehicles inside Afghanistan. Unprecedented in complexity, the retrograde mission required innovation and creativity.We have full understanding of the challenges facing military forces and defense contractors as they prepare to return their vehicles and equipment to their home bases at the end of their mission. We are engaged in planning and executing the surface delivery of military equipment and supplies.